PWAs are changing the way that people interact with businesses online. The Mobile-first movement is in full swing, and it’s up to you to make sure your mobile website is fast, intuitive, and effective at converting customers. One of the easiest ways to accomplish this is with a Progressive Web App. 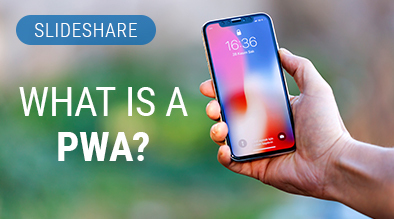 Mobile Design is something we take very seriously, so we’ve prepared a short slideshow that explains PWAs and how they work.